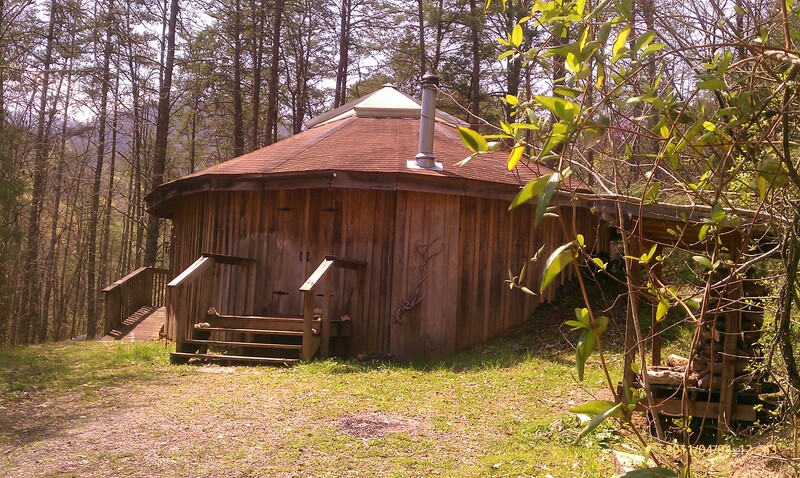 The Peace Sound Center provides a sacred space for singing, chanting, meditating, teaching, and other forms of celebrating the abundance of the Earth, the grace of the Creator, and the unity of all people. The Chamber was inspired by the vision of Joseph Rael, "Beautiful Painted Arrow," a spiritual teacher from the Picuris Pueblo Native tradition. The Chamber attracts people from near and far to come and sing their song of peace. This video produced by Rico Francis of Shamanzone is Joseph Rael talking about the Peace Sound Chambers. Click here to see other sound chambers around the world. Ceremonial chambers have been used for thousands of years by many cultures to provide a unifying force to help bond people together in spirit, values, and attitudes. The rituals and ceremonies have varied, but the basic principles and goals of developing inner awareness and understanding of the Universe are similar. All living things move, and all movement creates sound. Earth's root language grew out of early man's re-creation of these sounds of life. By understanding the meaning of these sounds and by chanting them, we can help raise the veil that separates us from natural world that we are so close to destroying. Joseph Rael, Beautiful Painted Arrow, was the visionary father of these chambers, which are scattered around the world in places as varied as Australia, Austria, Bolivia, Oklahoma, Ireland, and England, with many more planned and currently under way. The vision calls for people trained in the use of sacred sound to use the oval-shaped chambers, creating and maintaining a continuous sound wave of peace and light. Sound is what puts us back in touch with our origin and in touch with the principle ideas that created us in the beginning. The sound helps us individually experience the greater reality and our connection to all things. This resonant wave thus becomes an energy base from which to bring peace and healing to the Earth. A variety of Chamber ceremonies and gatherings provide the essence of peace and love to filter throughout Mother Earth, promoting healing in the land of the people.